A love you card to lilly. Bought lilly a St Paddy’s Day card. Panda got a Petsafe pounce today 2/16/18 w/video. I bought Lilly a subscription to national geographic magazine. 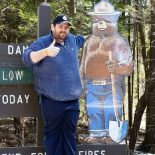 MichaelJGranata.com is now on Facebook! Seen my (new) Chestnut Ridge therapist, Lisa, today. Amanda Makar thinks I am blackmailing her. 10 miles over the speed limit will not save you much time. But it will cost you money in gas. Or even get yourself a ticket. Do you want to speed to your own ticket? What Deism means to me. THIS is the Real Reason a Global Systemic Failure is Imminent and Will Never Be Fixed! Lilly’s miss you card for September 2017. How much is that restaurant stealing from you? West Newton has the worst book sale ever. Texts between Amanda Makar and myself. May to July. A Birthday card to my Daughter Lilly Makar. 5/3/17 – I love you card send out. Texts between Me and my Ex Amanda Makar about seeing Lilly.